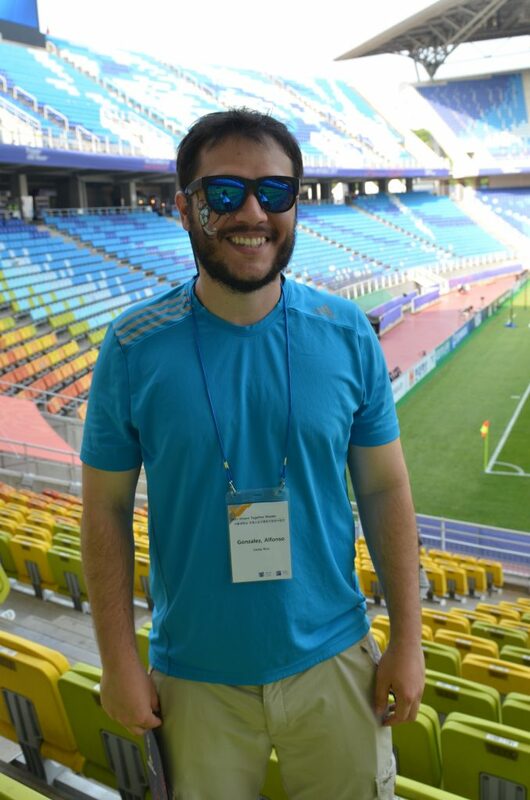 As an extracurricular activity, Dream Together Master 4th batch students visited the Suwon World Cup Stadium to watch a U-20 soccer match (Uruguay vs Saudi Arabia). 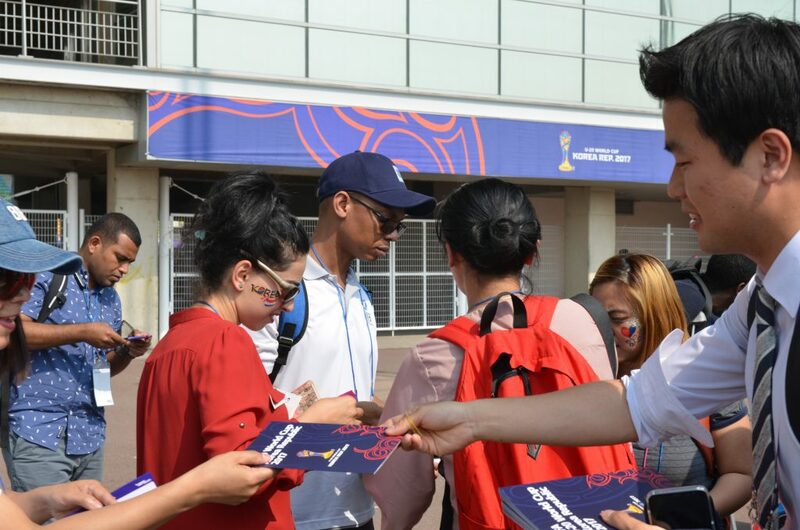 This was a great chance to apply what students have learned in the class to sport field and to experience a sport mega-event, facility administration, and sports marketing strategies. 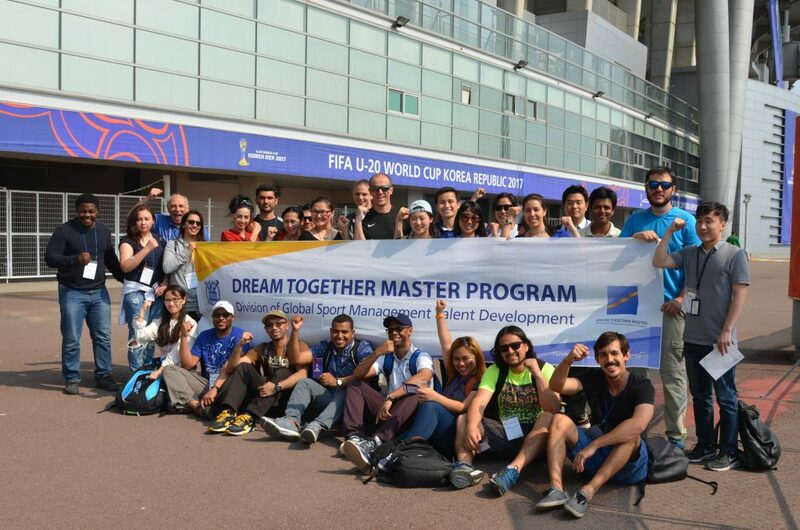 Group photo of Dream Together Master students at Suwon World Cup Stadium before the match. Alfonso Gonzalez (Costa Rica) is posing for a picture. Group photo of Dream Together Master students and staff. 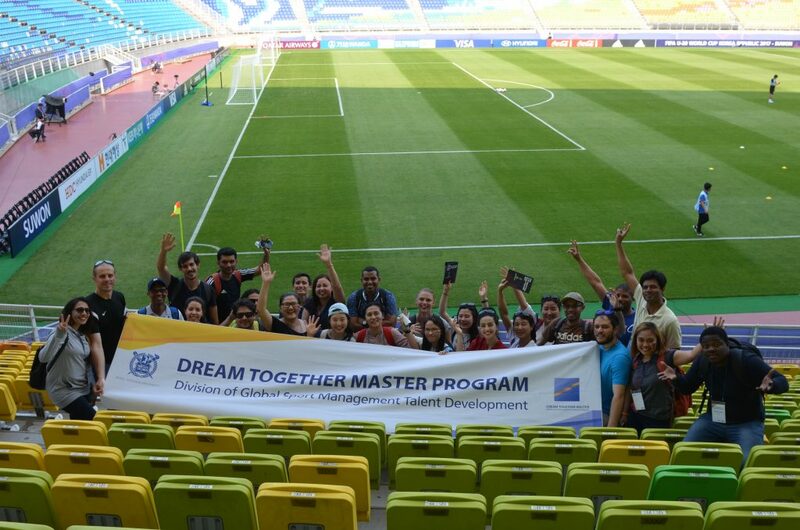 Dream Together Master students were guided by the alumni, Staff of FIFA U-20 Organizing Committee.